Chan Punzalan is a full-service law firm that provides a wide range of business counsel. We provide practical and efficient legal services catered to the particular needs of each of our clients. Our values of trust, responsiveness, and sound legal advice have helped us to develop strong relationships with our clients so we can best address the legal needs of their businesses. We counsel new companies, established businesses, individual entrepreneurs, family shops, large enterprises, multi-entity groups, private firms, small corporations, and big partnerships. Our clients operate in a broad spectrum of industries: restaurant, service, retail, travel, manufacturing, creative, advertising, technology, professional, real estate, consulting, and sales. We understand that each client is different. We strive to identify those differences, understand what each client needs, and provide exactly that. No more, no less. We counsel our clients through business contracts and other transactional issues that arise in the formation or operation of their companies. For some of our clients we serve as outside general counsel, handling most general business matters in our office, and bringing in specialized counsel as needed, such as for securities issues or litigation. In a typical outside general counsel arrangement, we will have weekly scheduled meetings with the client. Those meetings are billed at a lower rate, and in those meetings we review completed work and identify new matters and next steps. Outside of those meetings, we handle all or most of the general business work, such as a letter of intent, or manufacturing agreement, and we work with outside counsel to address the rest, such as funding documents or patent prosecution. Whether we are serving as outside general counsel or on a traditional engagement, our clients frequently call on us for advice, counsel, negotiation, or drafting. We prepare a wide variety of business formation documents, including articles of incorporation and bylaws, articles of organization and operating agreements, and initial meeting minutes or consents. We are also prepared to handle transactions in a wide array of business matters, including letters of intent to lease property or purchase assets, confidentiality and nondisclosure obligations, commercial leases, asset purchases, manufacturing, business services, licensing, technology, creative services, and client services. We serve as vigorous advocates for our clients in disputes and litigation regarding trade secrets, trademarks, copyrights, technology matters, and other complex business matters. No matter how big or small the dispute, we aggressively represent our client’s interests effectively, skillfully, and efficiently. We handle each litigation matter with thoroughness, a strict attention to detail, and a willingness to work hard to achieve our client’s business goals. Our firm has successfully litigated cases across the country on behalf of a wide spectrum of businesses and individuals. Billy's practice covers business transactions, contracts, and outside general counsel services. Billy is an active member of the legal community. He is a Past President of both the Asian American Bar Association and the Filipino Bar Association of Northern California. He has served as the Chair of the Solo and Small Firm Committee of the National Asian Pacific American Bar Association, and previously held the Secretary position of that organization. He is a founding and active member of the National Filipino American Lawyers Association. 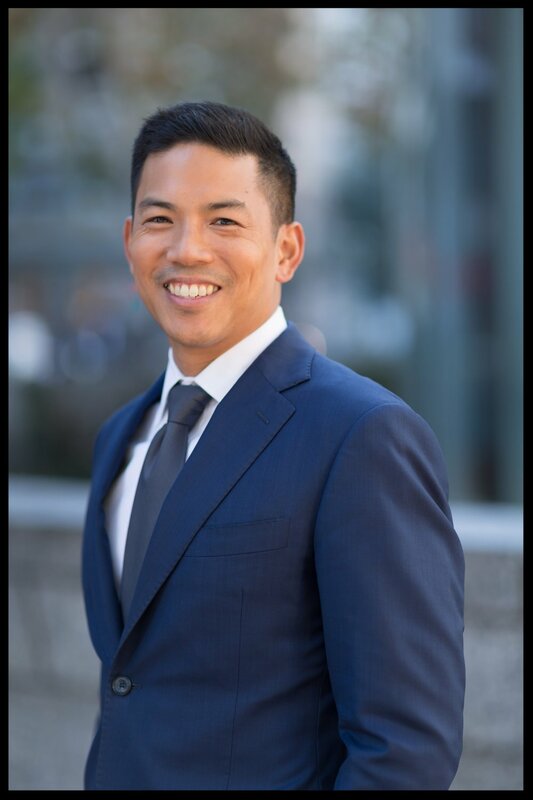 His pro bono efforts include service as General Counsel of the San Francisco Filipino-American Chamber of Commerce, Secretary and General Counsel of the Hawaiian Chamber of Commerce of Northern California, and General Counsel of the Young Filipino Professionals Association. 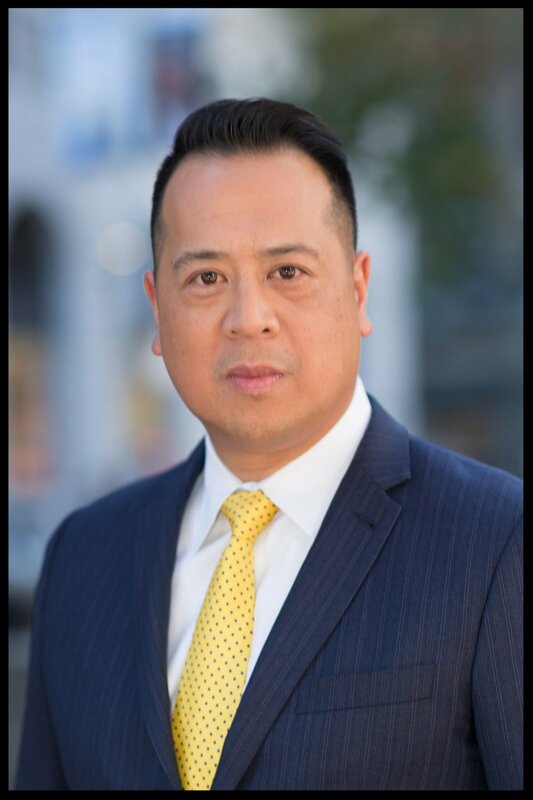 Billy has received awards from the Minority Bar Coalition and the Filipino Bar Association of Northern California for his service to the San Francisco community. He has been recognized in 2009, 2010, 2011, 2012, 2013, 2014, 2015, 2016, and 2017 as a Northern California Super Lawyer, which is granted to less than 2% of all eligible lawyers. Mark's practice focuses on trade secret disputes, trademark matters, complex business litigation, and intellectual property and technology litigation. Mark has represented U.S. and international clients from a wide variety of industries, and he has successfully prosecuted and defended his clients in complex litigation matters across the country. Mark has been recognized as a Super Lawyer in Intellectual Property Litigation numerous times (2015, 2016, and 2017), and he is also a two-time recipient of the Minority Bar Coalition’s Unity Award for his contributions to diversity in the legal profession. Mark continues to be an active member of the legal community, and he currently serves as Chair of the Bar Association of San Francisco’s (BASF) Small Firm Committee, President of the Asian Pacific American Bar Association of Silicon Valley (APABA Silicon Valley), and as Co-Chair of the Judiciary Committee for the Asian American Bar Association’s (AABA). “Ethical Aspects of Legal Marketing and Promotion,” Santa Clara Law, November 2015. Heidi represents clients in complex commercial litigation matters, including copyright, trademark, and trade secret cases. She has extensive experience with jury trials in federal and state courts, including representing a major medical device company and Fortune 500 companies at trial. Heidi has litigated matters in varied industries such as biotechnology, consumer electronics, e-commerce, and healthcare. As a former research attorney for California state courts, Heidi brings her unique perspective on California litigation to Chan Punzalan. Heidi also completed an externship with the Honorable William Alsup of the United States District Court, Northern District of California. Heidi is a member of the Private Defender Panel of San Mateo County, serving as a court-appointed attorney to represent children and parents in the dependency courts. She regularly represents clients in trial as a Private Defender.